The first Tolkien movie trilogy, part 3: The Return of the King (1980) | 'TAIN'T THE MEAT… IT'S THE HUMANITY! The third instalment in this early Tolkien movie ‘trilogy’ is a bit of an oddity. 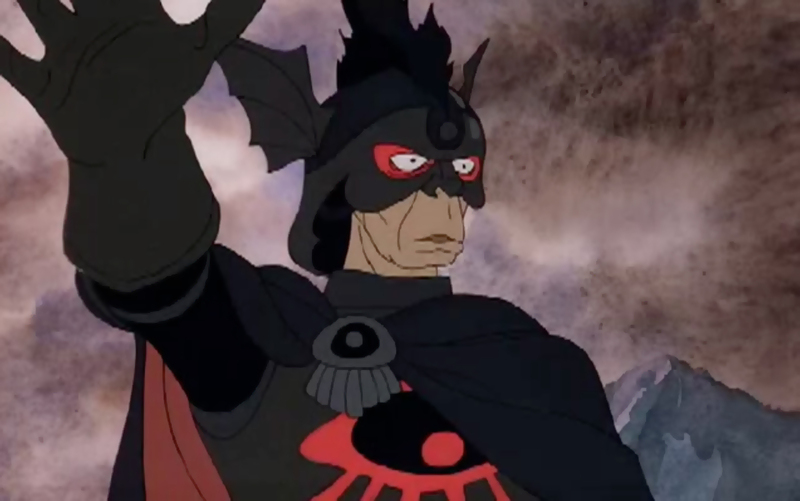 After the proposed sequel to Ralph Bakshi’s animated The Lord of the Rings was cancelled, fans probably thought they’d never see a cinematic conclusion to the story. 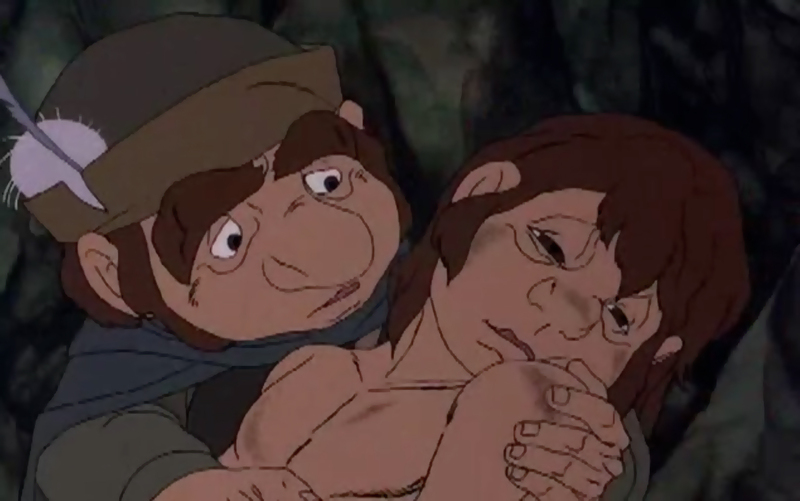 However in 1980 the production team responsible for The Hobbit TV special from three years earlier returned to the world of J.J.R Tolkien to wrap up the story and provide a sequel (of sorts) to Bakshi’s film. Although The Return of the King incorporates many of the events from the third book of Tolkien’s epic it also leaves out large chunks of the story and a great many characters. The film opens with two hobbits, Frodo Baggins and Samwise Gamgee, arriving at Rivendell for Frodo’s uncle Bilbo’s 129th birthday. There they are reunited with fellow hobbits Pippin and Merry and Gandalf the wizard. After a brief recap of events from The Hobbit they settle down to listen as a balladeer, played by folk singer Glenn Yarbrough, recounts Frodo and Sam’s journey into Mordor to destroy the ‘Ring of Power’. The events of the film are then told in flashback: Sam rescues Frodo from the Orcs in Cirith Ungol; Gandalf and Merry are present at the siege of Minas Tirith where they witness first hand the insanity of the city’s steward, Denethor; Frodo and Sam encounter Gollum on the way to Mount Doom; Frodo finally succumbs to the Ring and refuses to destroy it; Merry and Éowyn, niece of King Theoden, kill the Witch-king of Angmar; Aragorn, the rightful king of Gondor, arrives; Gollum attacks and wrestles the ring from Frodo, falls into the lava and destroys both it and himself; Aragorn leads his army into Mordor; Frodo and Sam are rescued by the Eagles; Aragorn is crowned King and the film comes full-circle, ending with Frodo, Bilbo and Gandalf sailing away from Middle-earth, signalling the end of its ‘Third Age’. Sadly, many events are not shown: Frodo and Sam’s encounter with Shelob (I know this scene originally appears at the end of The Two Towers, but it’s one of my favourite parts of the story and it would have been nice to see it); Aragorn’s marriage to Elrond’s daughter Arwen; the replanting of the White Tree in Minas Tirith and The Scouring of the Shire. Several characters from the book are also not included – Legolas, Gimli, Treebeard, Saruman, Grima Wormtongue, amongst others. 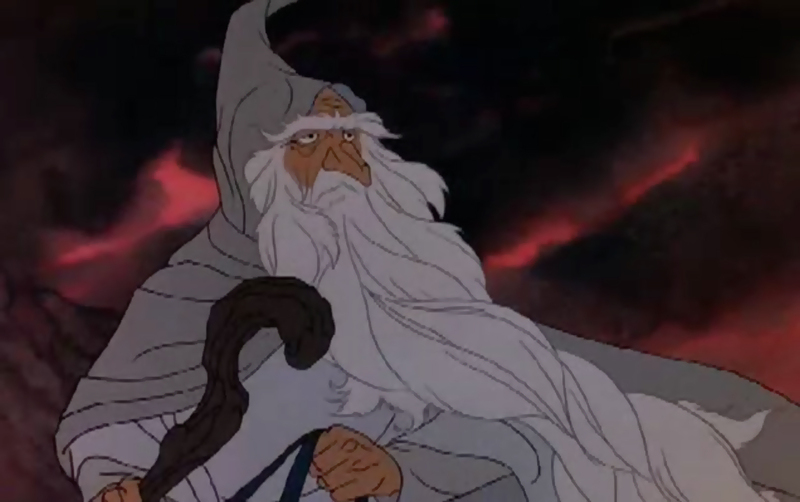 As the film only covers events from the third book heavy use is made of John Huston’s narration (he also provided the voice of Gandalf) in an attempt to fill in the gaps in the story. But by not showing the events from the first two books the film quickly flounders. Fans of the books or the Bakshi film will be familiar with both the story and characters but anyone unlucky enough not to know the basic story will be lost. 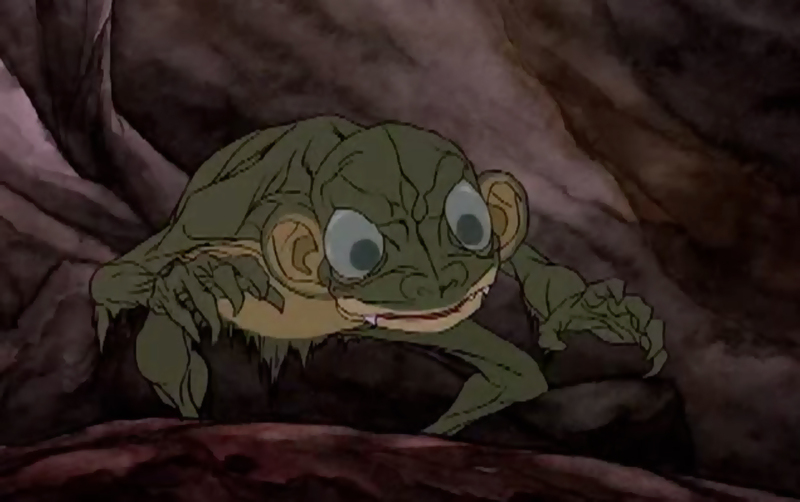 For example, Frodo and Sam’s journey to Cirith Ungol (depicted in The Fellowship of the Ring and The Two Towers) is not shown so when Gollum meets the pair (around the 65 minute mark) his anger (“wicked master, cheats us!”) is unexplained, and only makes sense if the viewer knows the character’s history. When Aragorn eventually appears (around 77 minutes in), there is no explanation of who he is or of his importance to the story – in fact, due to an imaginary sequence at the beginning of the film, where the ring tempts Sam, the viewer could be easily forgiven for thinking Sam was the eponymous King. And when Éowyn suddenly appears to kill the Witch-king there is no explanation of who she is – the list goes on. As a result of these missing story elements little of the film can be viewed in context and therefore it can’t stand on its own merits. I can’t think of another film that so heavily relies on the viewer knowing the story in advance, and what kids made of the film – and it was a film aimed at a younger audience – is beyond me. 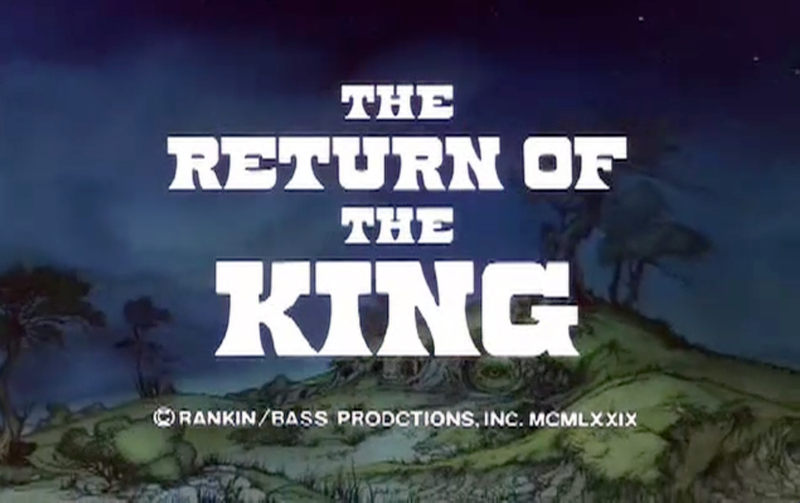 The Return of the King first aired on American television on 11th May 1980, ran 98 minutes, and was produced and directed by Arthur Rankin Jr and Jules Bass, the pair behind The Hobbit special three years earlier. Alongside John Huston most of the voice cast from the first film reprised their roles and a few familiar voices were added. Orson Bean returned as Bilbo and Frodo, Brother Theodore as Gollum, William Conrad (Cannon) voiced Denethor, Casey Kasem (Scooby Doo) played Merry and Roddy McDowall (Planet of the Apes) played Sam. 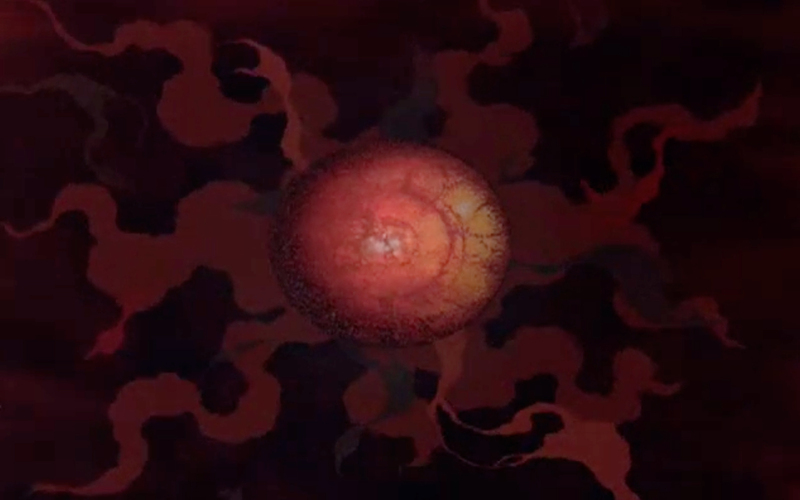 The movie’s animation is functional, if uninspired, and was handled by Japanese studio Topcraft, who would later reform as Studio Ghibli. 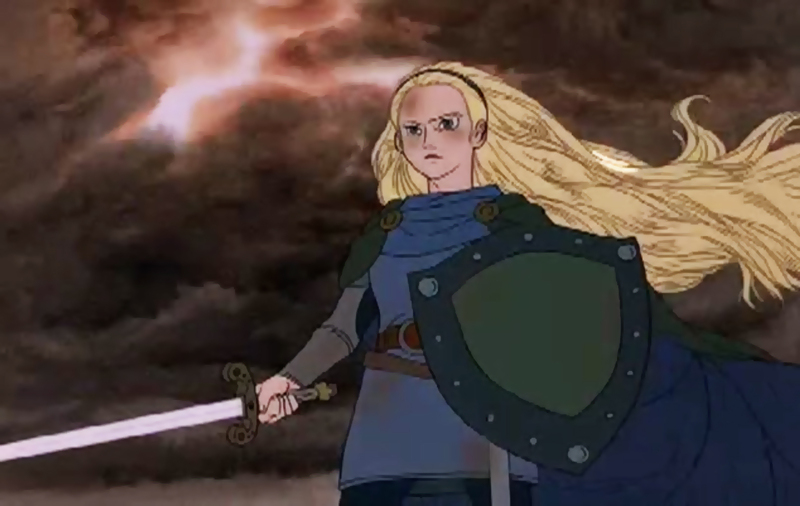 Sadly the distinctive pen and ink feel of The Hobbit is no longer present and some of the character designs betray their TV origins – Éowyn in particular looks like a refugee from a Japanese children’s cartoon (see below). Ranking/Bass Productions claimed they had always intended to base the sequel to their 1977 adaption of The Hobbit on the third of Tolkien’s books, but for the life of me I can’t think why anyone would want to adapt the third part of a trilogy. Maybe they could only use elements from the third book because UA, who owned the film rights to The Lord of the Rings, and who had no wish to finish off the story, relinquished the rights to whose unused story elements. Who knows. Unfortunately, and for whatever reason, the decision to use story elements from only the third book heavily hampers The Return of the King and sadly it is the weakest of the three animated Middle-earth adaptions. 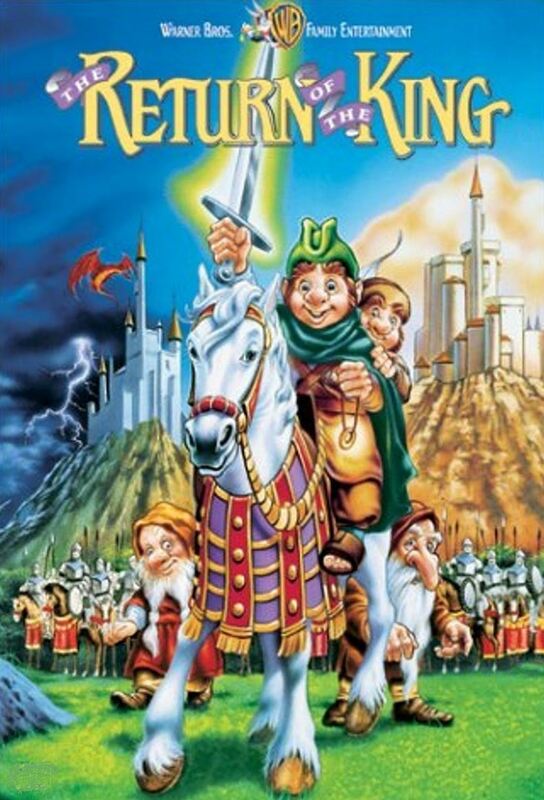 The DVD cover to The Return of The King. The Return of the King was released on Region 1 (US) DVD over a decade ago and has since been deleted. Copies can still be found on Amazon.com but I can’t imagine anyone but the most die-hard of Tolkien completists being interested as it lacks the charm of The Hobbit and the ambition and scope of The Lord of the Rings.